About 8 inches high and 11 1/2 inches long. 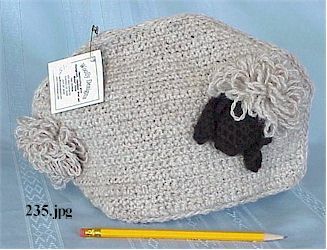 This wonderful Tea-Cosie was Crocheted by Jean using homegrown, hand spun Navajo-Churro (cross bred) wool. 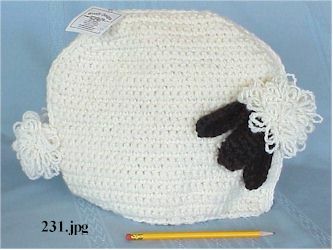 This tea cozy is about 12 inches wide by 10 inches tall. 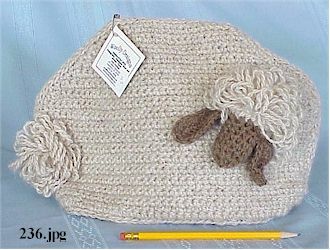 Crocheted by Jean using her tan and brown natural colored Navajo-Churro wool yarns. About 9 inches high and 13 inches long.